Inject In A Little Silly! I spend a lot of time mulling over details that I should consider when planning a wedding and how much it’s all going to cost. Things can get really serious, really fast. But that’s not us at all! We are a ridiculous couple who do ridiculous things all the time. We try to keep our life as silly as possible. Laughter happens to be the key to our relationship! So I wanted to shake all the seriousness I’ve been feeling and bring the silly side of weddings to you! I’ve also been reading a lot of advice from former brides, and so many of them say to ignore anything going wrong and enjoy the day! I think so many of these brides and grooms took the enjoyment of weddings to heart. Come back down to earth and laugh with me today! Alright, everyone says the mustache is dead, but I think this is one place it belongs. After all, if you are going to be silly with facial hair, the photo booth is the place to do it! How can you not love this photo! Any time we get to spend together on our wedding day, you can bet that the boy will do something like this! How adorable! If friends and family are a focal point of your wedding, do a fun photo with everyone! 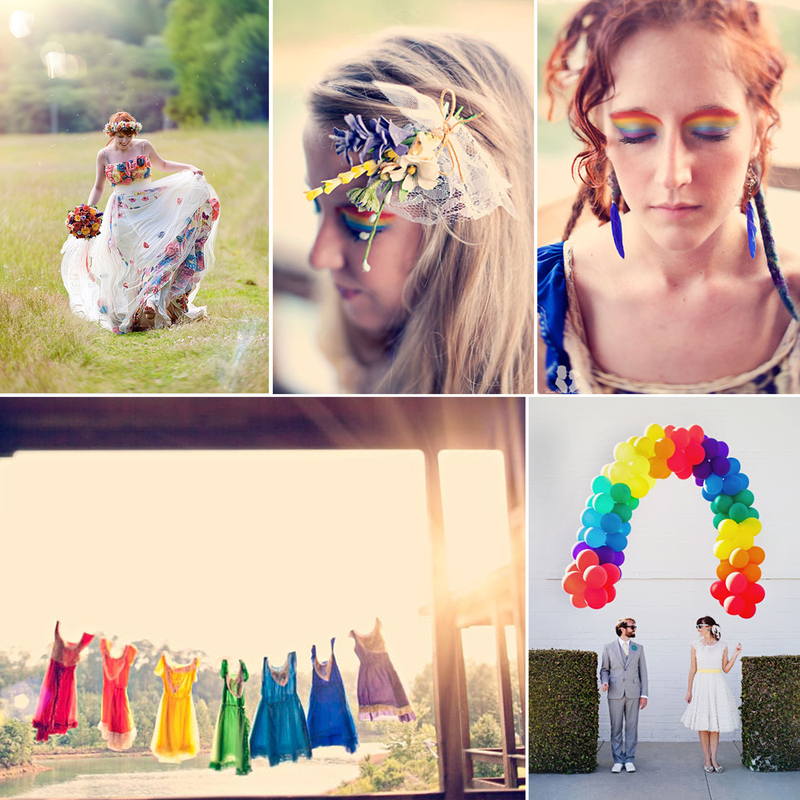 If you’re into stylish silliness, and whimsy, why not try a rainbow theme? Rainbows make everyone smile. I think I laughed outright at the couple switch…that’s commitment to silliness! 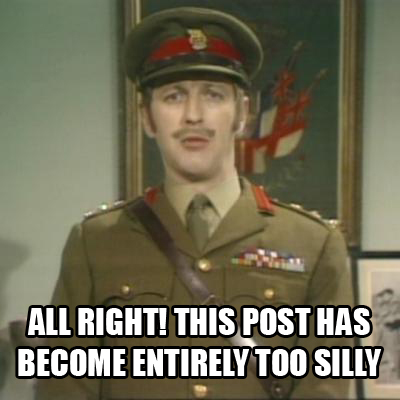 Also, you can’t have a post about silliness without Monty Python! You haven’t appreciated silliness until you’ve appreciated Monty Python! I hope you smiled this Friday! Please inject your own silliness into your wedding! If it’s supposed to be one of the best days of your life, at least make sure it’s fun too!